Northern Kentucky University’s Cyber Defense Team continued its dominance in the region, winning the Kentucky Collegiate Cyber Defense Competition and outscoring Ohio’s top team. After beating a formidable University of Louisville team in the combined Kentucky/Ohio competition, NKU now moves on to the Midwest Regional Collegiate Cyber Defense Competition. 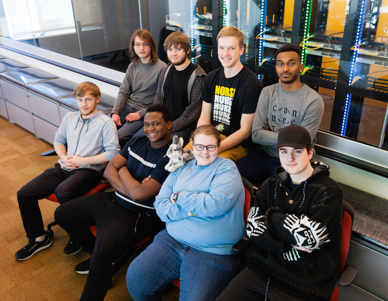 NKU’s Cyber Defense Team continued its dominance in the region, winning the Kentucky Collegiate Cyber Defense Competition and outscoring Ohio’s top team. The Midwest Regional competition is one of five regional competitions in which 10 teams each compete for their region’s spot at nationals. In addition to Kentucky, Illinois, Indiana, Iowa, Michigan, Minnesota, Ohio Missouri and Wisconsin make up the Midwest Region of the CCDC. For more information, visit http://www.cssia.org/ccdc/ccdc-registration.cfm.